The new E series has been developed for applications today that require 24/7 operation and very low noise characteristics. 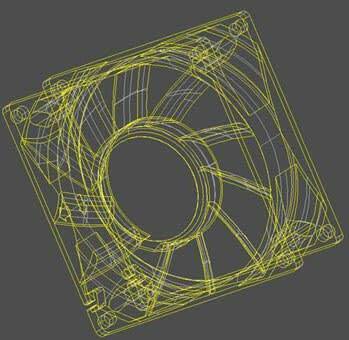 YS TECH has utilized CFD simulation technology to optimize the flow and pressure ratings while greatly improving the sound quality. The new and improved rotor is contoured in a way to get 10-20% reduction in dba over our previous models and our competition with similar flow rates. This model is available with many different options. These specialty features include: 2 and 3 wire models with tach and alarm features, 4 wire PWM options, integrated thermistors, IP ratings (IPX4 up to IPX6), and custom design features per customer request including connectors and fan trays. For more information and samples of these products please contact your local sales rep, click here for listing.